​I consider my hair to be in between 3b-3c hair type – although I’m ranging from basically all hair types 🙂 ​- My hair is high porosity, responds ​well to hydration, is fairly easy to manage if well hydrated, it won’t get frizzy in high humidity weather. 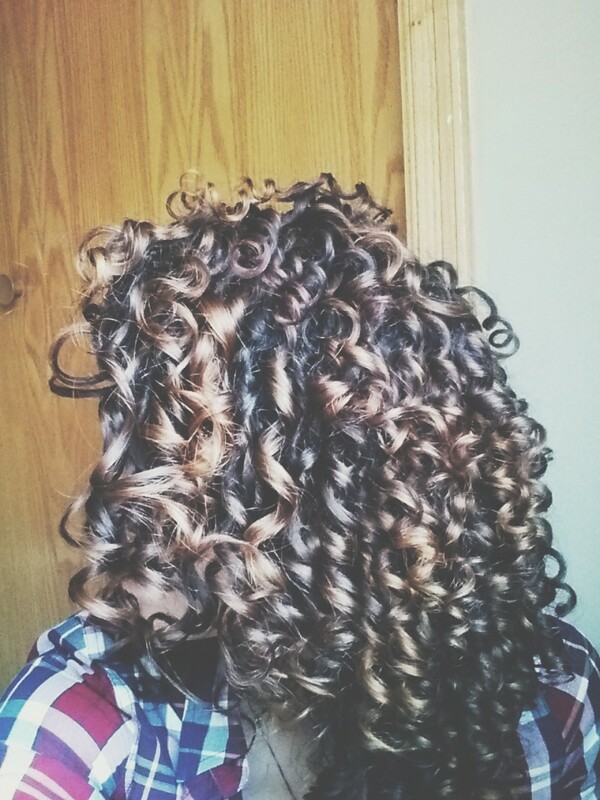 I have well defined curls and lots of volume au naturale. Although I don’t know how to judge its thickness I wouldn’t say it is super thick or super fine. It gets tangled up easily though so maybe it’s more on the fine side. 2) What is something you love about your mane? Any areas that challenge you? My favorite thing about my hair is how long it allows me to go in between washes. I take a long time to detangle, deep condition, wash and dry so it is really good for me to see it holding up all the care for as long as seven days. As I, unfortunately, still have areas that are straight from all those years I chemically straightened my hair, I find it​ difficult to texturize it, so I will spend a lot of time trying to scrunch those areas. Also I have been noticing how those areas take longer to grow out which probably is what​ frustrates me the most. 3) Have you always embraced your natural hair? 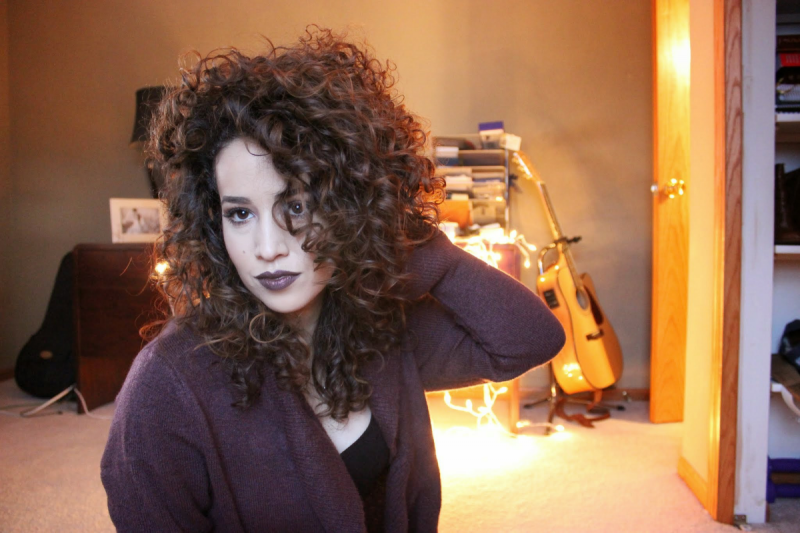 I have not always embraced my natural hair. In fact, I used to hate how I looked with curly hair and was even told by hairstylists that I looked better with straight hair! I had a lot of childhood trauma with all the teasing about my hair always being big. I would always have to put it in a ponytail, and it was always absolutely always frizzy and taking over my head. This all lead me to learn the many ways to tame it, texturize it and ultimately getting a professional permanent straightening treatment on my hair, the famous Brazilian blowout​. I came a long way to finally accepting and loving the way my hair looks like​ naturally. ​I have to say it was a mostly internal change that was reflected externally. 4) What does a typical washday look like for you? My wash day routine changed dramatically after I purchased a stand dryer. Now I don’t have to wait a really long time for it to dry out. I used to just use a diffuser but I had noticed I lost definition – I know this sounds weird. 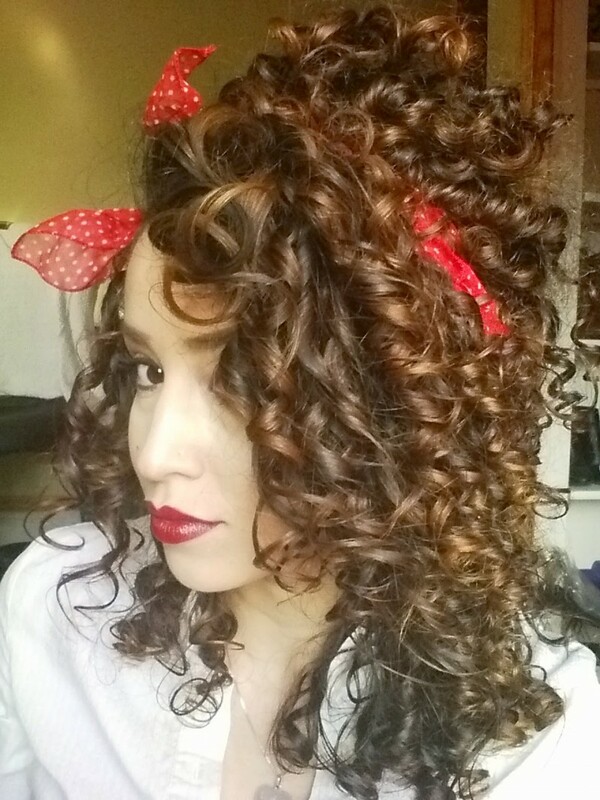 The diffuser I use (DevaFuser) would disturb my curl pattern, leaving a straigh​t​​ a​rea on some curls, especially when I started diffusing while it was still very wet which I couldn’t avoid given how long it ​takes ​to dry​ my hair in the winter. Now to answer the question, I low-poo my hair, then I condition while detangling it – and, this step being the most important for curl definition – I always leave some conditioner on to boost the leave-in process. I rinse my hair with cold water, not completely, with my head tilted forward so my most dry area (the front of my hair) keeps all the moisture. Then I squeeze out the excess of water while still in the shower. Right after I step out of the shower I apply a leave in conditioner (Shea Moisture’s Coconut and Hibiscus Smoothie) and a gel (Deva Ultra Defining gel). Then I sit under the stand dryer for about 1 hour. After my hair is completely dry I “break the cast” with my hands while also applying a layer of coconut oil. My hair looks the best on 1 day after wash.
5) What’s your daily upkeep, if any? My upkeep involves a lot of coconut oil. ​Each day, upon waking up I define any frizzy areas with coconut oil – I also use it for deep conditioning once every week. As the days after wash day pass, I sometimes need to do a protective style. I usually braid it or put it up in a bun. It’s been fun to find new ways to style it! 6) Any products that you’re absolutely loving lately? As I can’t wash my hair as often as I would like to – again due to the weather in Minnesota – I tend to hit the 5 days after mark before I feel the need to wash it as it is so dry. The more days after wash day pass the harder to detangle my hair gets so I took it upon myself to find a good conditioner. I used to use Devacurl One Condition and it is – and smells – amazing but I had to apply so much if it to be able to achieve the best results for detangling. Also the whole process would take a long time, which meant more unnecessary fallout. I’m absolutely in love with Carol’s Daughter Black Vanilla Conditioner​ I randomly found at Target​. It detangles my hair in a way no l conditioner that I have ever used could. I don’t have to apply much of it at all​. Another favorite would be the Deva Ultra Defining Gel. I honestly haven’t tried any other gel – and don’t think I’ll ever need to – but I love how defined my curls are after using it and the strong hold for humid days. 7) Any words of advice to people with a similar hair type? ​Recently as I was randomly browsing through an Ulta Beauty store, I was checking out some curly products ​and found the line of products named Ouidad. Their motto spoke deeply to me and that’s what I would advise all curly girls with similar or different hair types: “Express, never suppress, your curls.” I’m always trying to learn new things about my hair and what it wants to do. 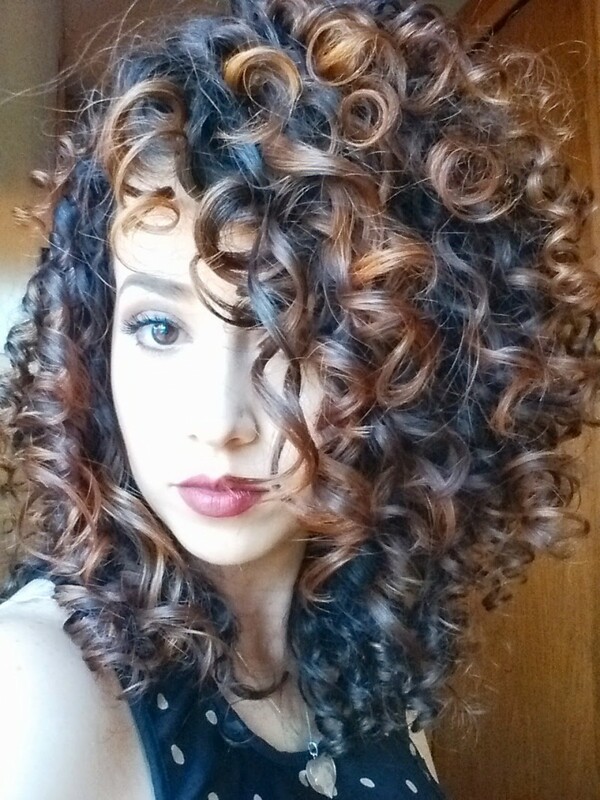 Curls are unpredictable by definition but that’s not a bad thing. I’m always finding a new curl, and those same ones look different after each wash. I’m learning not to expect it to be perfect at all times. Patience is also a wonderful thing to learn when it comes to length. I spent most of my years straightening my hair and now I want it to be perfect instantly. That’s not how it should work. Thank you so much for sharing, Nathalia! 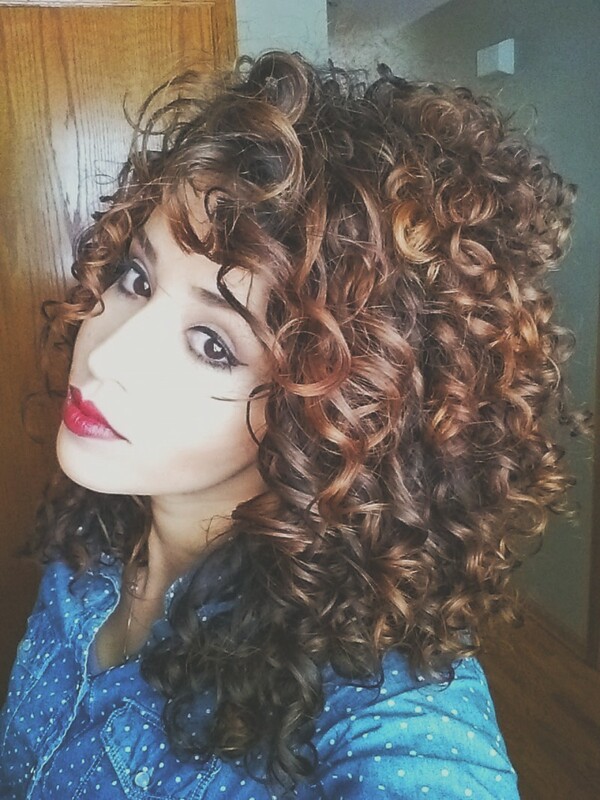 If you’d like to see more of Nathalia’s amazing hair, feel free to follow her on Instagram @mrsnjacobs.